Come for a dip at the ‘ole Swimming Hole. Located beside the main washroom buildings and the playground it is a great place to come with the family to spend the day or even for a quick dip after exploring the Falls during the day! Regular pool hours are 9am - Dusk. Enjoy Yogi Bear’s extra large playground area. Soft sand fills the area between our 6-piece playground area. 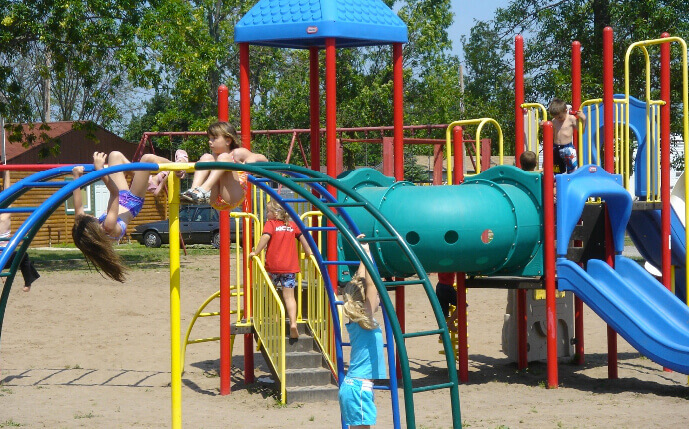 There is a tire run, jungle gym, monkey bars, swings, a train and two giant slides to name a few! 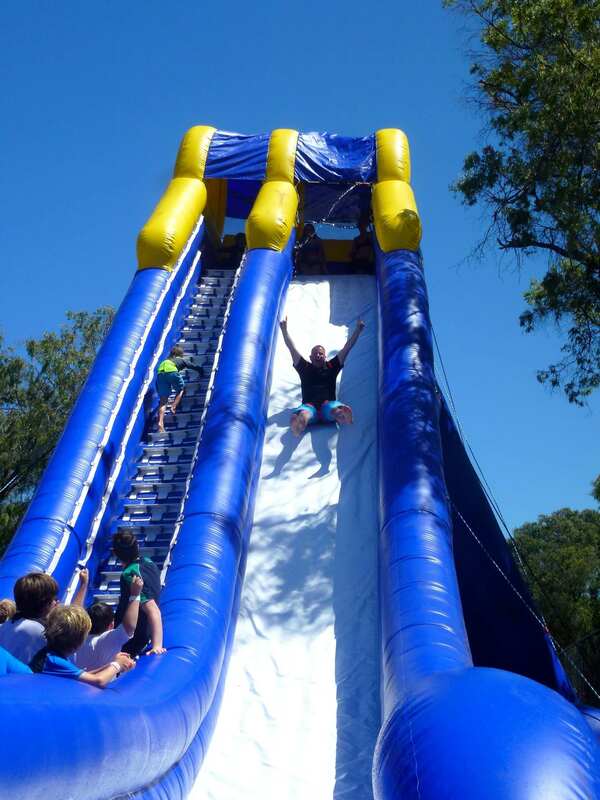 Come bounce away on Jellystone Park™ Inflatable Trampoline. This jumper is one of the largest bouncers of it's kind! 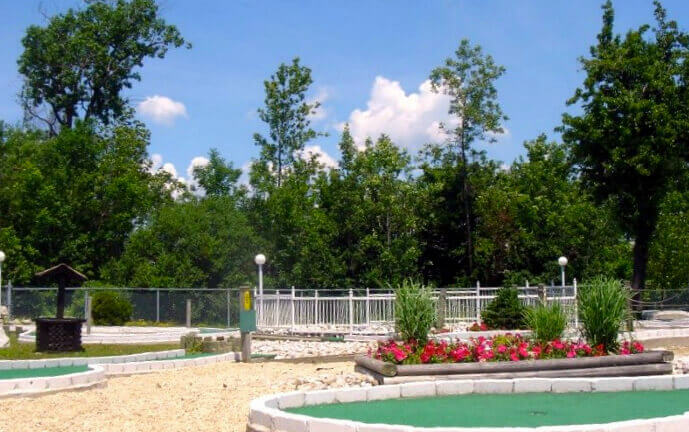 Come for a round of Mini Golf on our modern, challenging 18-hole course! Course is open until 11pm during the summer for a night game under the bright lights! Come to the office to rent your club/ball. (Kids are $3 per round unless it is on the recreation events schedule that day) If you hit a hole in one on the final hole, return to the office to take a picture with Ranger’s Green Jacket (for champions only)! Come cool off in our Air Conditioned Arcade and Games room. 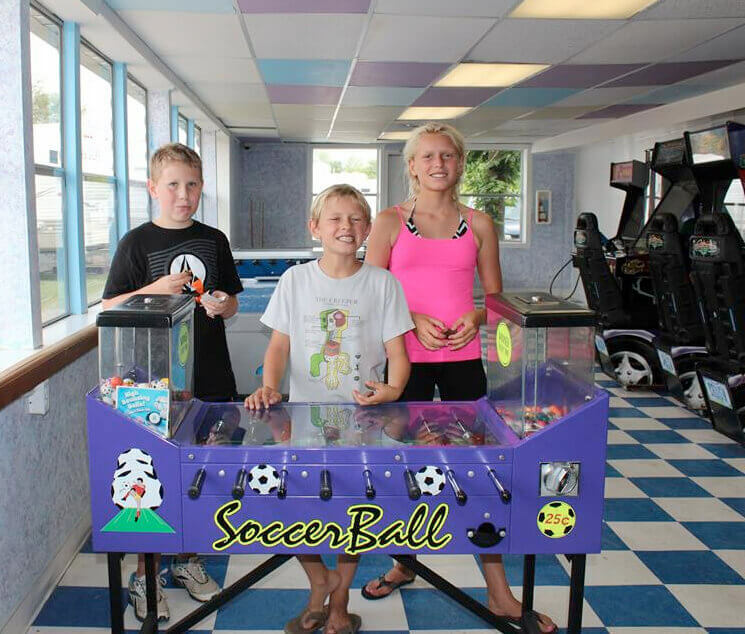 Located at the back of the Office & Ranger Station the arcade includes a retro pinball arcade section, car racing, foosball, billiards/pool, air hockey, and the chance to win bouncy balls, stuffed animals from the claw or prizes in the stacker games. Don’t forget to meet a friend from another country and challenge them in a Canadian Classic - Canada vs USA Bubble Dome Hockey! Arrrgh Campers! 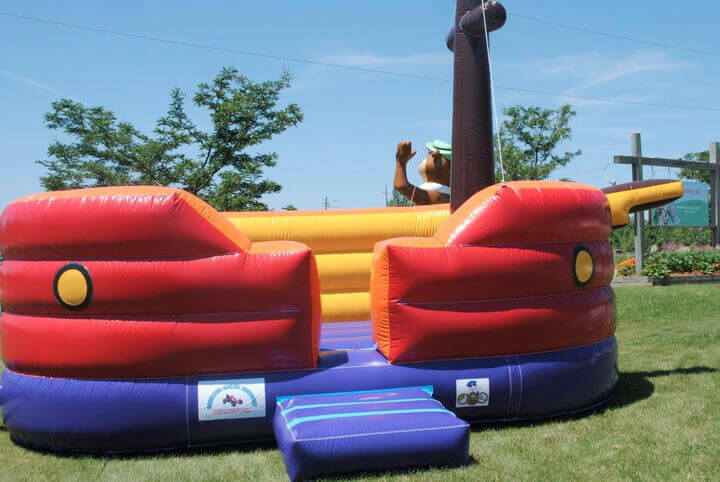 Come and bounce on our inflatable pirate ship available in July and August only while the gatehouse is open. This one is for KIDS ONLY - remember...no shoes, jewelry or sharp objects allowed! Join us at the rec hall for crafts and games! 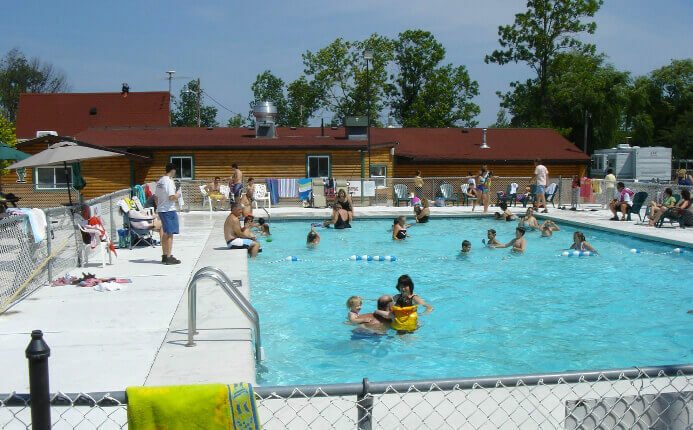 At Jellystone Park™ there are activities every weekend in the off-season and activities every hour all day from June 26 until Labor Day - Check the Event Calendar for details! 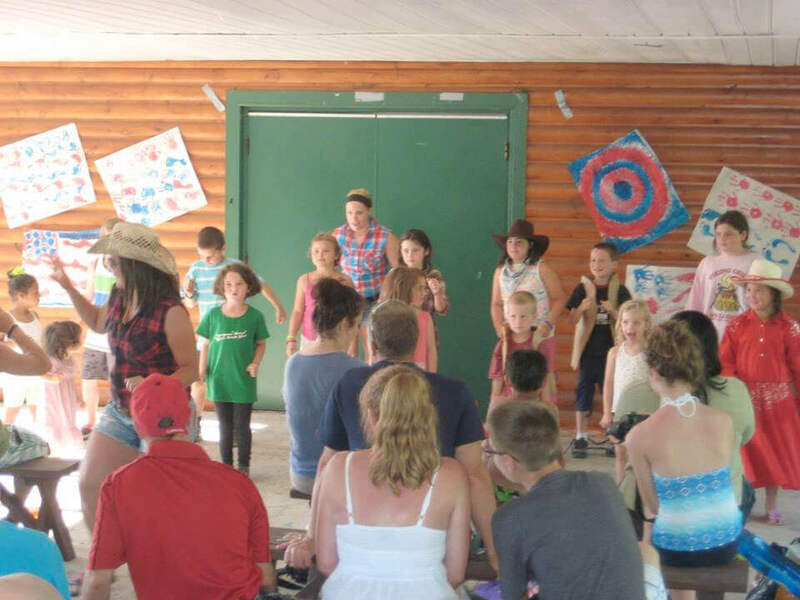 Join us for dances, movies, Tie-Die, bingo, crafts and games under the pavilion all summer long! 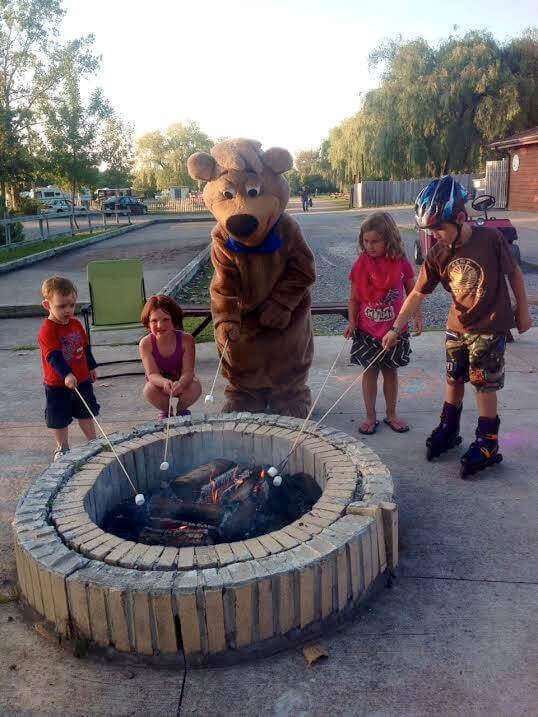 Join us on campfire nights and roast marshmallows with your favourite Bear! 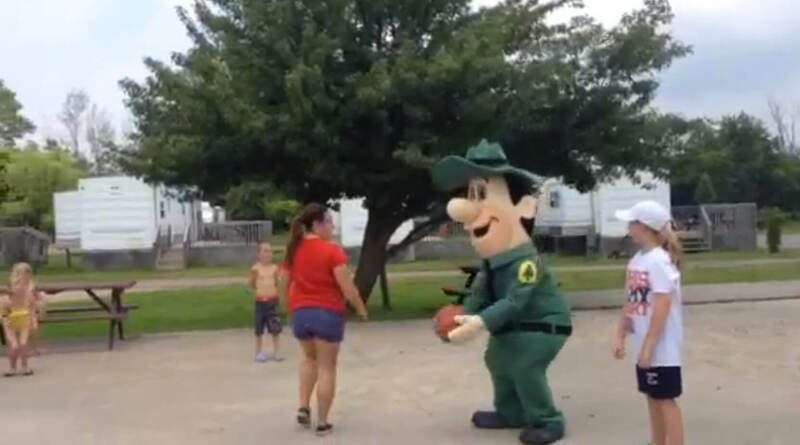 Enjoy shooting some hoops with Ranger Smith™ on our large 2 hoop basketball court! It is Concrete paved and ready to be enjoyed by the entire family! Basketballs are available at the front desk. 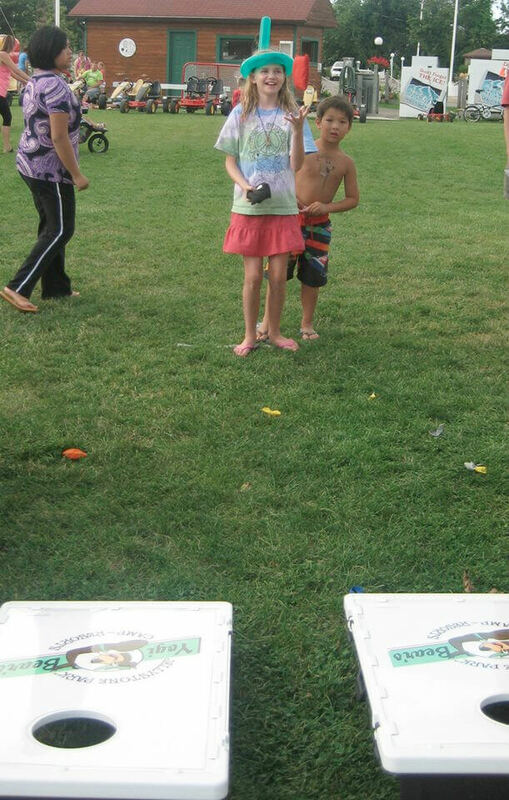 Borrow our beanbag toss or a ball and enjoy your time playing games or sitting in the grass on our front field across from the Pool Area and Main Office! 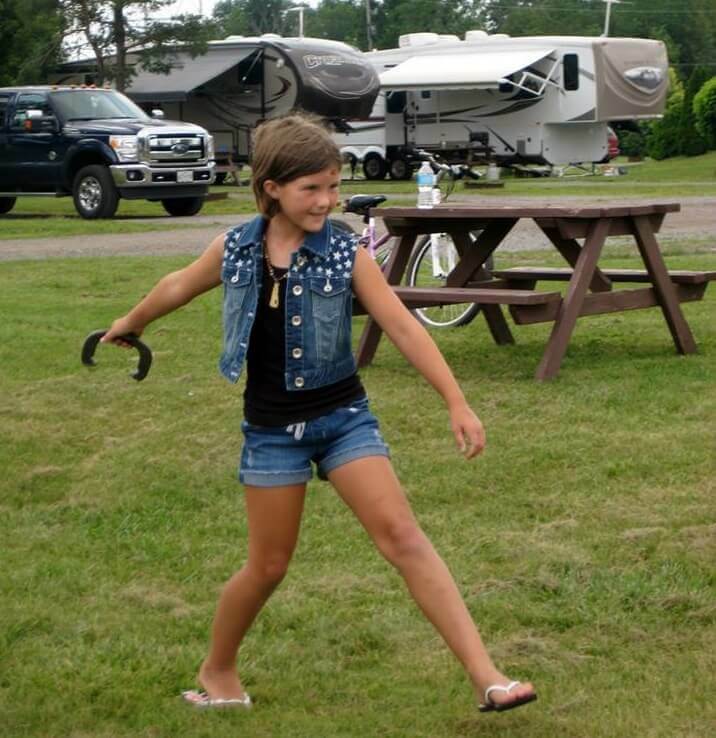 Horseshoes are fun for the whole family! There are 4 pits in total, perfect for a group of friends to have a quick tournament. ‘Shoes available at the front desk! Stop by our beach volleyball court and spike the ball around! 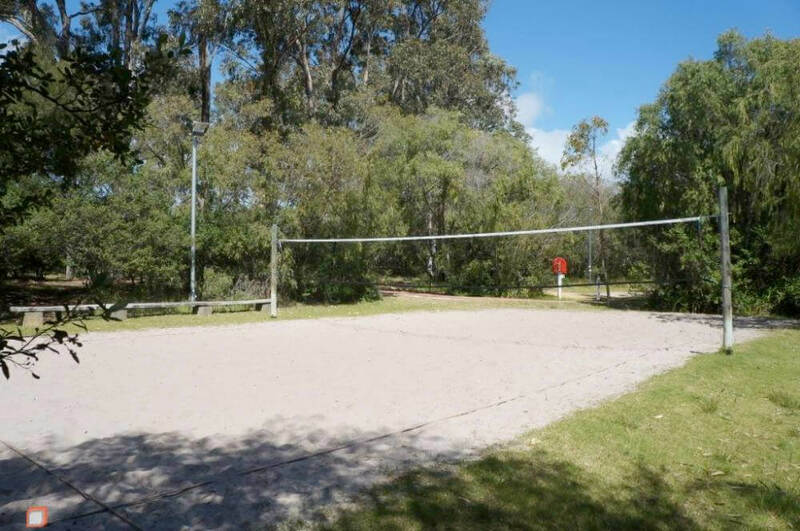 Plan your own family volleyball tournament or play a quick game with some friends you have met at the park! There are balls available at the front desk. 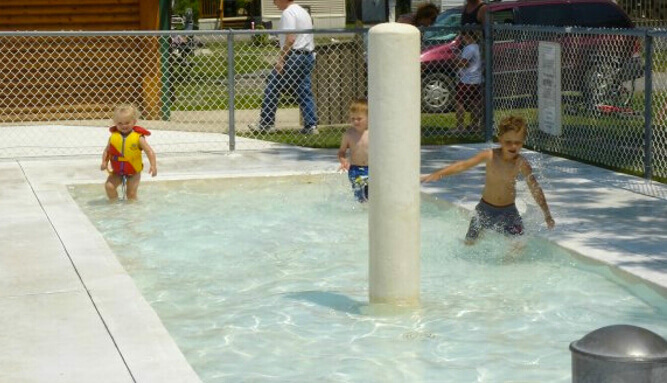 Boo Boo’s little campers are sure to love the small wading pool. A perfect little area for infants and toddlers to cool off and enjoy! Join us at the Bocce Ball field and play a few rounds! There is a shuffleboard area located just beside the basketball court. 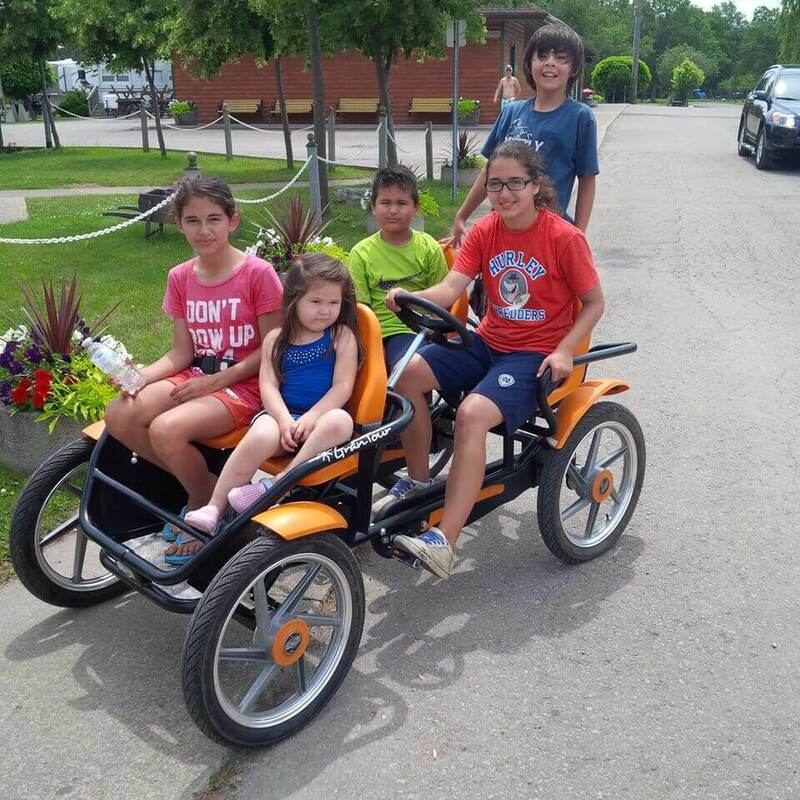 All equipment is available at the front desk for your family to use. Check the recreation schedule and join us once a week to see what movie will be playing during your stay. 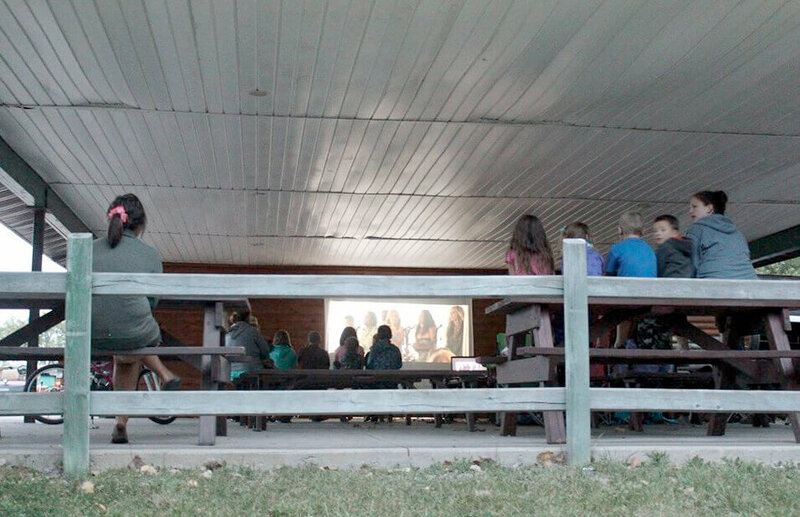 Join our recreation staff and the other families at our outdoor theatre under the Recreation Pavilion on the specified dates, bring a snack/drink or buy some popcorn from the staff at the rec hall before the show. Our fully stocked General Store offers Firewood, Ice, RV and Camping Supplies, Yogi Bear™ & Niagara Falls Souvenirs, basic groceries, ice cream, drinks, snacks such as chips or chocolate bars, coffee, a TV area and Arcade to shelter you on a rainy day…Make sure you talk to our friendly front desk staff to help you plan out places to visit that will help make your stay a memorable one! 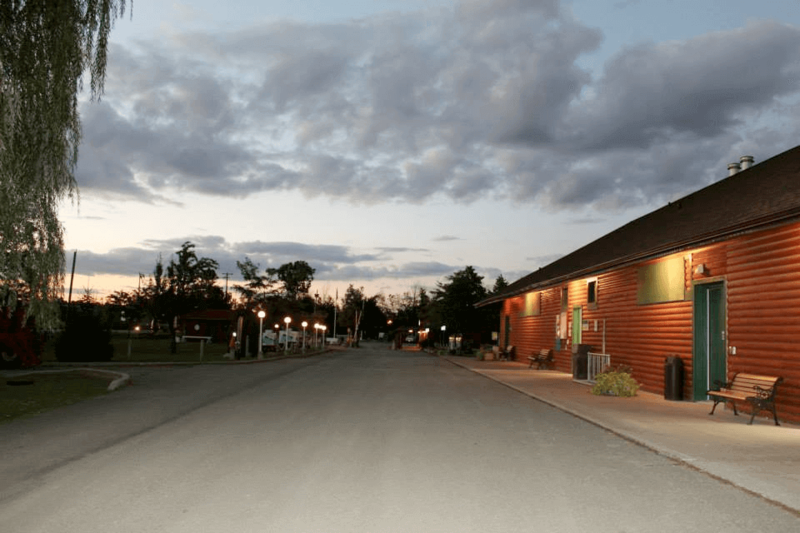 We have three newly renovated Washroom and Shower Buildings throughout the park (Buildings 2, 5 and 9 on our Park Map). Our Main Washroom has 5 clean showers and 8 toilet stalls on each side, plus a bath tub and diaper changing station. There is also a brand new accessible washroom building with its own access door complete with shower and toilet. Each of the satellite washrooms (buildings 5 and 9 on the map) house 1-2 showers and 1-3 toilet stalls! 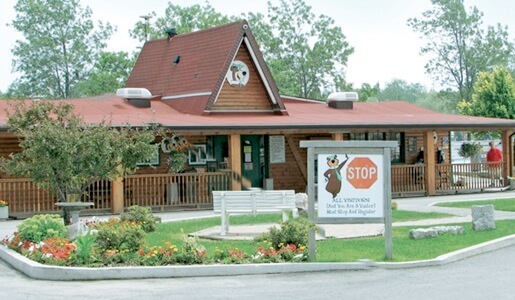 The park laundry facilities are located in the centre of our Main Washroom Building (Marked 2 on our Park Map). There is a washtub plus coin-operated washers and dryers available to keep your clothes fresh during your camping trip! 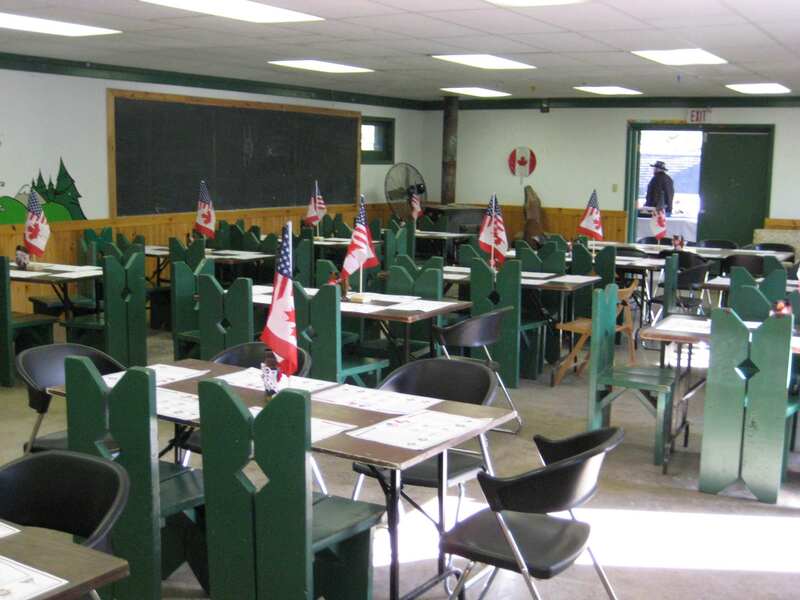 These facilities are cleaned multiple times each day and are regularly complemented by our happy campers! 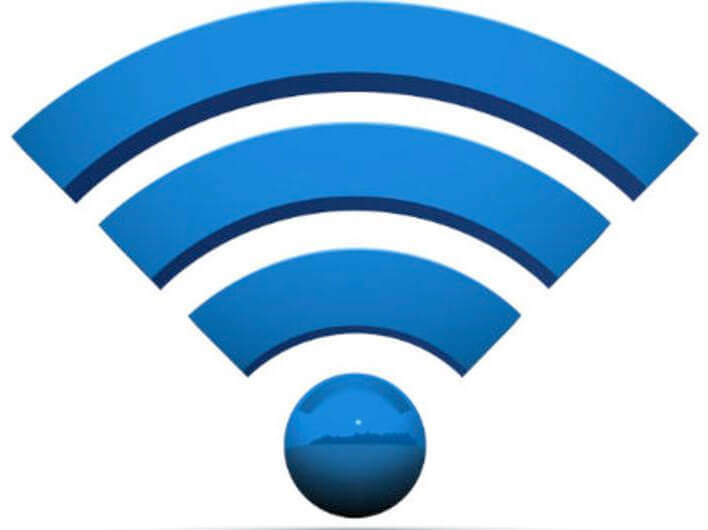 Wifi is available throughout the campground ($). There are fire rings and picnic tables at every site. Make sure you bring your own grill! There is a concrete pad for the picnic table at the Preferred and Ultimate sites! 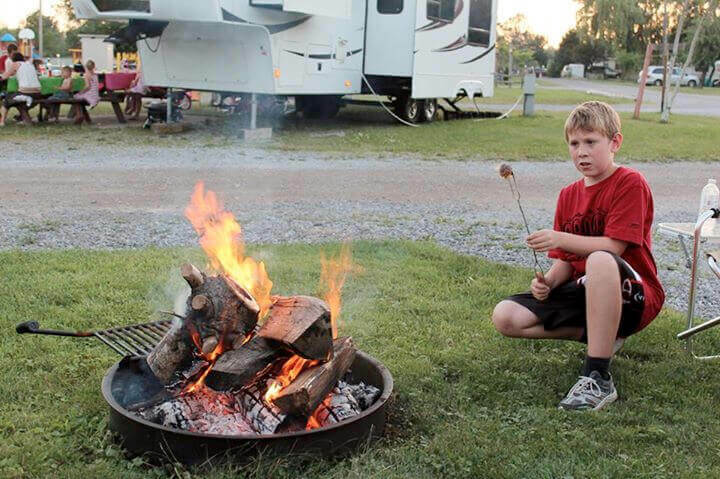 Our campground offers City of Niagara Falls water and sewer at every RV Site (as well as 30 or 50 amp electrical) and washroom building for your camping convenience. IF you have an RV Site and cannot find your sewer hookup please notify the front desk and we will have one of our maintenance staff help uncover it for you.